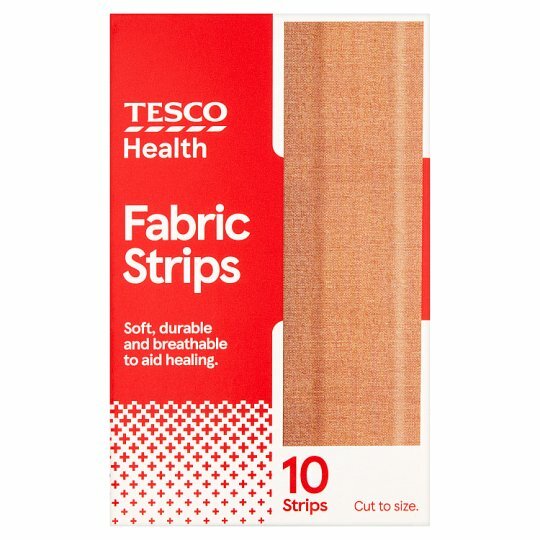 Tesco Health Fabric Strips provide durable protection from dirt and germs and are breathable to aid healing. The strips can be cut to the exact size required and use a low allergy, latex free adhesive so are kind to skin. Soft, durable and breathable to aid healing. Cut to size.